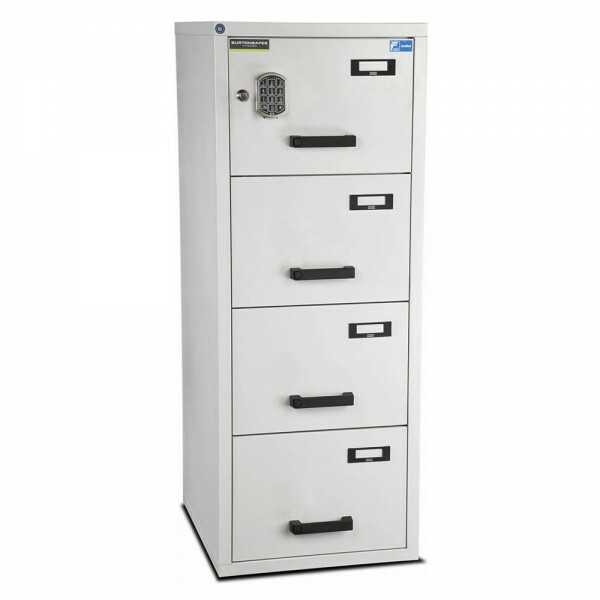 The Burton FF100 filing cabinet 4 drawer electronic is independently tested and certified by ECBS to EN15659 LFS60P thereby offering protection to paper documents for up to 60 minutes in the case of a fire. It is designed to protect documents in a maximum of 900 Degrees Celsius. 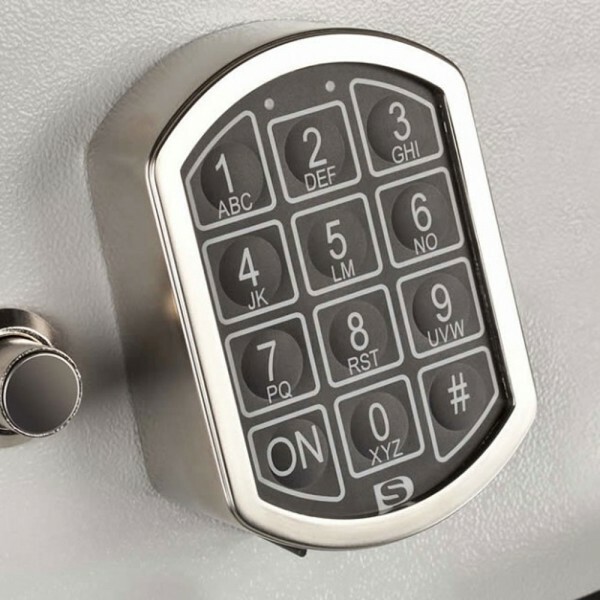 The cabinet is fitted with a central locking electronic lock but the drawers have separate latches which enable them to be locked and unlocked independently of the other drawers. Furthermore, an anti-tilt device makes sure that only one drawer can be opened at a time. The Burton FF100 filing cabinet 4 drawer electronic has tactile rubber handles for easy gripping and there are label holders on each drawer. Each drawer can hold up to 40kgs of A4 and Foolscap files.